It might seem surprising that the Liberals, who successfully reformed Quebec’s finances and improved the provincial economy, were nonetheless rejected by voters. After all, measures taken by the Liberals at the beginning of their mandate to curb government spending and to balance the budget, although criticized by the unions, were favoured by most Quebecers. So why this severe verdict at the polls? One reason might be too many handouts, distributed here and there, and perceived by voters as pure waste, sometimes as crony capitalism. Generous subsidies to aircraft manufacturer Bombardier or to the McInnis cement factory in Port Daniel, costing taxpayers hundreds of millions of dollars were, among other dubious spending, very poorly received by the electorate. This certainly did not help the cause of the Liberal Party, which had been in power almost uninterruptedly since 2003. In the eyes of Quebecers, even though the Liberals did well on several fronts, major structural problems remained unresolved. Long wait times still plague the public health-care system despite major reforms and significant pay hikes for doctors. Roads are a disgrace in many places, and so are many schools. In short, Quebecers probably felt—and still feel—they don’t get what they pay for. This wasn’t lost on CAQ Leader François Legault (pictured above). His party received massive support from voters by proposing to go further, by promising to reduce waste and bureaucracy and to reduce the tax burden of citizens—in his own terms, time has come to "put money back in people's pockets." 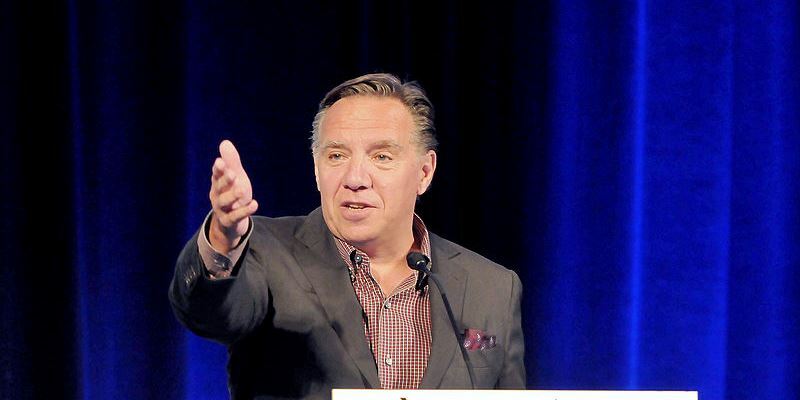 Legault has long lamented the economic backwardness of Quebec and now wants the province to abandon its long-term dependence on the federal equalization program. One question remains, though; how far will the CAQ go? In health care, we can expect a greater role for private entrepreneurs in the delivery of care, as Legault promised during the campaign to improve access. The bureaucracy will undoubtedly not be spared, as the CAQ promised to eliminate school boards and reduce the number of public servants through attrition. But keep in mind that the CAQ Party has also a well-affirmed nationalist stance. Among other things, Legault wants to "protect head offices" and wants state-owned companies such as Investisement Québec to get more involved in the economy. There’s no intention to liberalize the liquor board or do away with the subsidized day care model. These are sensitive issues in Quebec, and even a party at least notionally favouring greater reliance on markets sees this as a bridge too far. Quebecers just brought into power a party comprised of an impressive number of entrepreneurs and well-respected business executives. Time and attitudes are definitely changing in the province, where words like money and profit have for a long time seemed suspicious. It’s a sign that Quebecers, after years of quibbling about independence, are growing more concerned and interested in public finance, prosperity and other economic issues. In any case, the province is, more than ever, open for business.